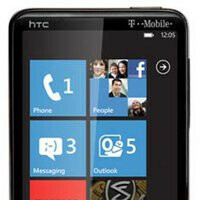 Highly considered even right now to be one of the more widely recognized Windows Phone 7 smartphones on the market, the HTC HD7 for T-Mobile is actually getting its delivery of the May security update. For the most part, a good chunk of WP7 devices have already seen this update, which address issues related to fraudulent third party digital certificates, but now it’s finally making its presence on the larger than life handset. Bringing it to Build 7392, handset owners should feel a bit better once it’s installed, though, the same couldn’t said about devices like the Samsung Focus. Still, Microsoft is no doubt probably hard at work getting it ready for the other Windows Phone 7 devices waiting for it, however, due to issues related to firmware and hardware variations, it could still require more time to complete.